The tour continues! 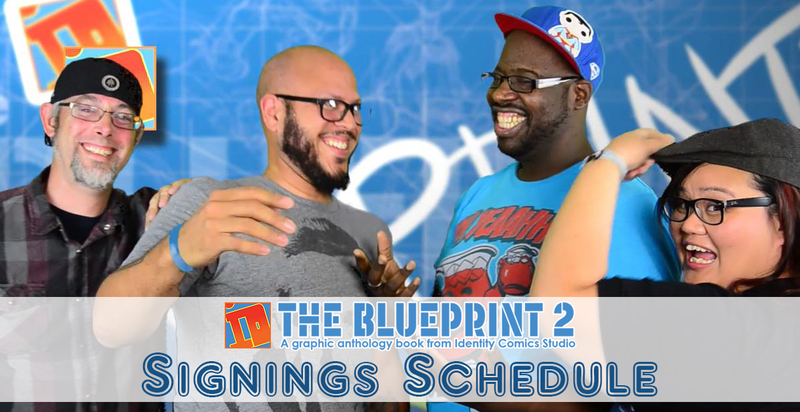 This weekend come see me and the IDentity Crew signing fresh copies of the Blueprint 2. We will be signing from 11am until 1pm at the Annapolis location! We love being at Third Eye. It's a great place to find your comics and just be with people who know comics. New Look and Blueprint 2 Signing! This Saturday the ID crew and I will be doing our second Blueprint 2 signing! This time we'll be in Ashburn, VA hanging out with the amazing team at Comic Logic. We will be signing from noon till 2pm so if you are in the area come out and say hi! It's gonna be crazy fun. Also, I've just updated the look of my site! its been forever since I changed anything around here. Now it's like a brand new site!